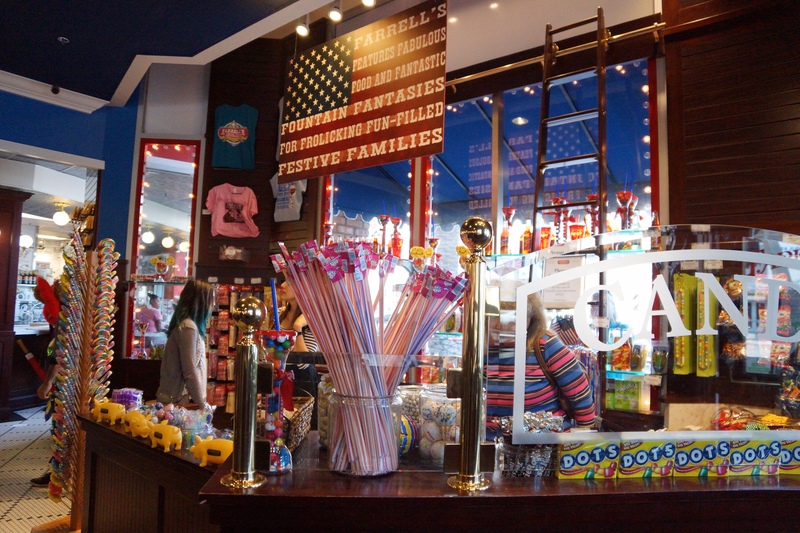 Farrell’s is not only our favorite place to celebrate special occasions with our children, but also one of our #1 places to get a great burger in Orange County. When we learned about Farrell’s new great tater creator, we decided to take the kids for lunch at the Farrell’s in Brea. 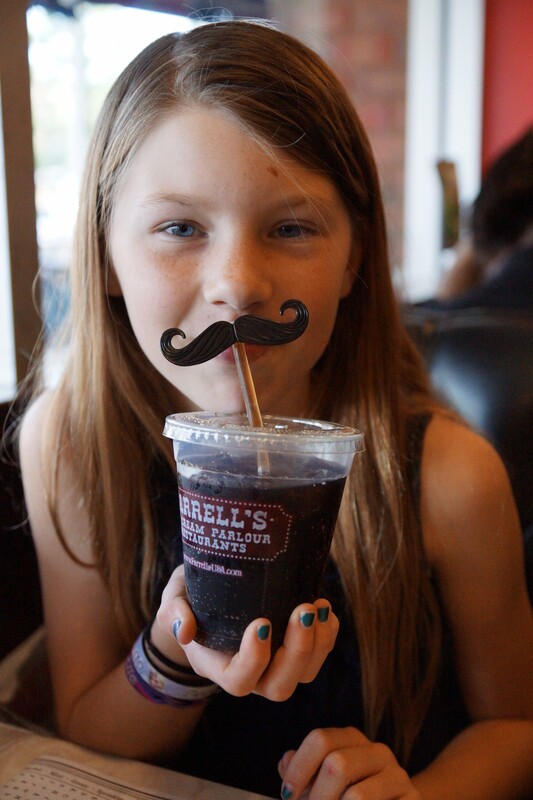 The Mission Viejo location has always been our go-to Farrell’s location, but every time we drive past the Brea location, we are continually reminded of how we’ve wanted to eat at that location. After visiting some friends in North Orange County, we finally made plans to have lunch at this beautiful location in downtown Brea. The Brea location is very similar to the Farrell’s that I remembered as a kid with rich dark woods and Tiffany-style chandeliers. The restaurant is surrounded with big windows making it bright and cheery. 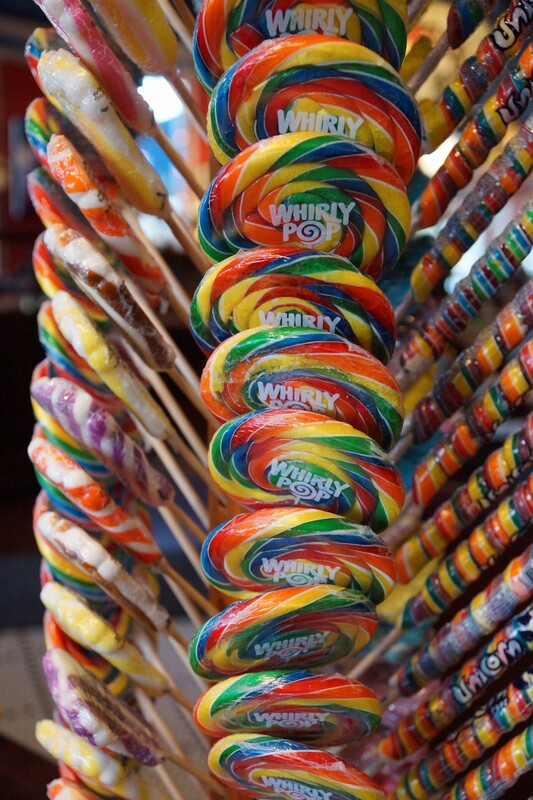 When we first walked in for lunch, the kids navigated towards the mini candy store where they used their allowance to purchase treats to enjoy throughout the week. 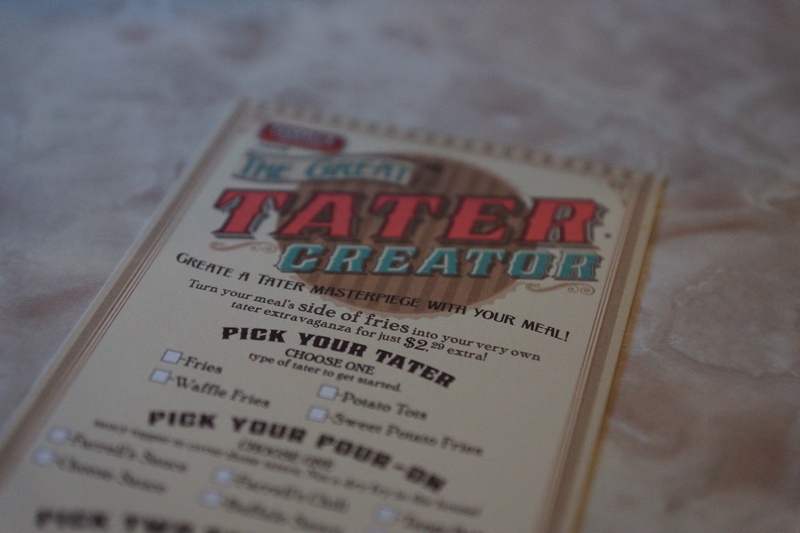 Upon sitting down in the comfortable booth, our server brought us the “official tater creator cheat sheet.” We had the option of creating our own unique masterpiece to pair with our burger or select any of their four themed creations. 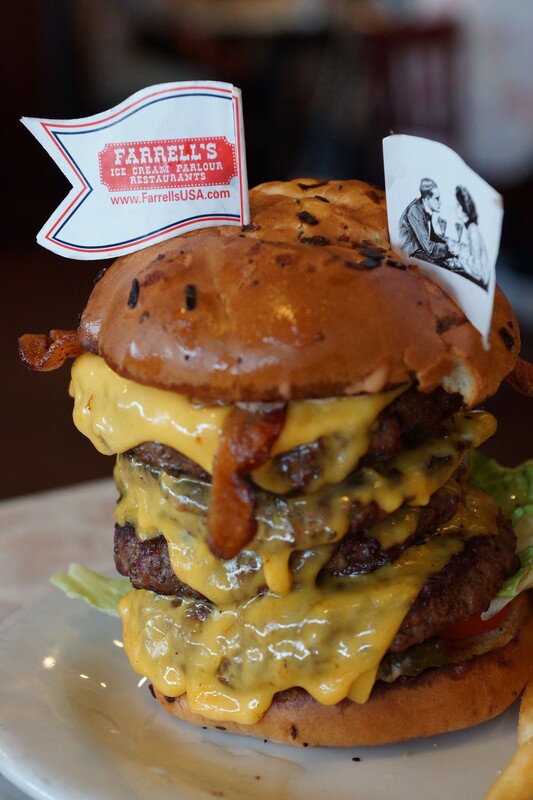 Instead of unleashing our own creativity, we let Farrell’s do the work, and ordered the four themed creations to pair with our burgers. Our favorite creation was the “C.S. 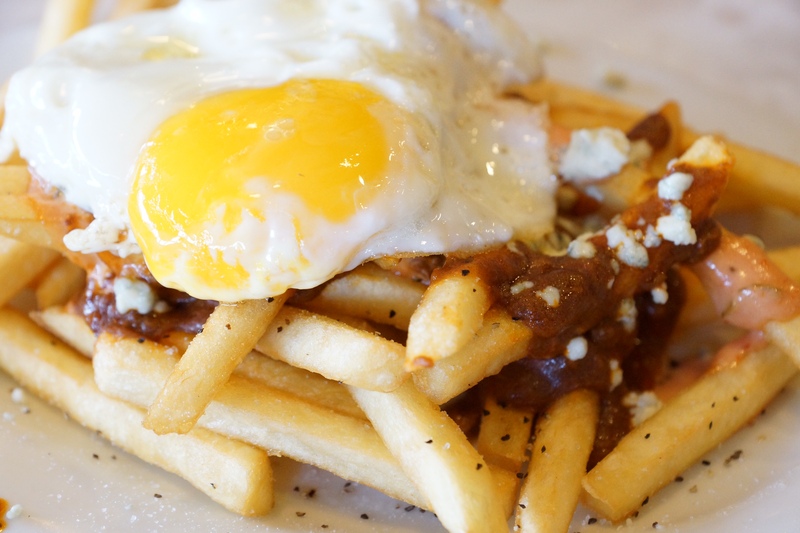 Fry: Miami.” The fries came topped with chili, bleu cheese, chopped onion and a fried egg. My husband who normally does not like anything with bleu cheese on it, could not get enough of the dish. There was not too much chili, and after we popped the egg, and the juices poured over the ingredients, it made the most incredible flavor combination. 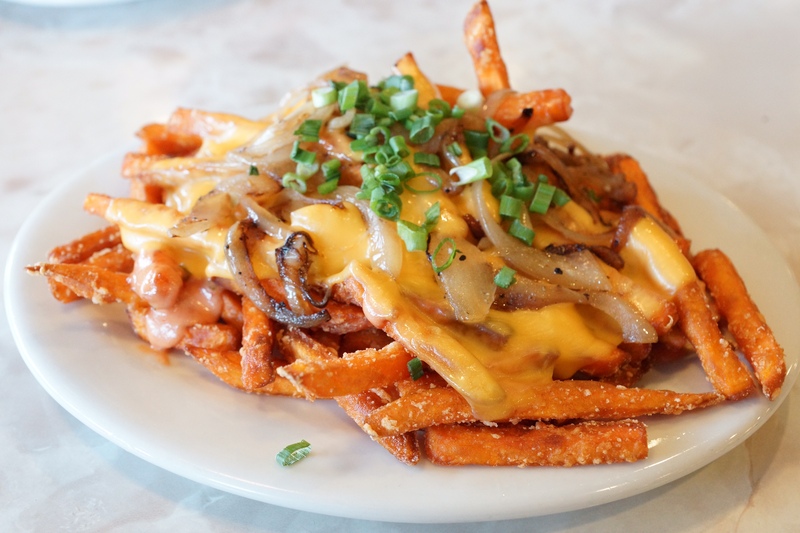 Our second favorite was the “When Irish Fries and Smilin’.” The dish featured sweet potato fries, Farrell’s sauce, melted American cheese, grilled onions, and scallions. It was made even better when dunked in a little ranch dressing. I’ve never been a fan of sweet potato fries until indulging in this delicious side dish. The kid’s favorite was the “Beauty is in the fry of the the beholder.” They loved the sweetness of the balsamic glaze paired with the saltiness of the tater tots. 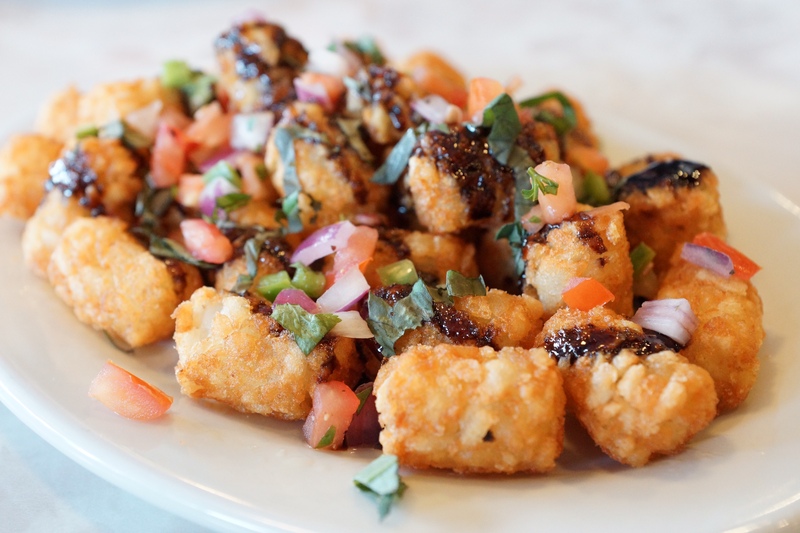 The tots were topped with pico de gallo and fresh basil. Again, another strange combination of ingredients that came together perfectly. 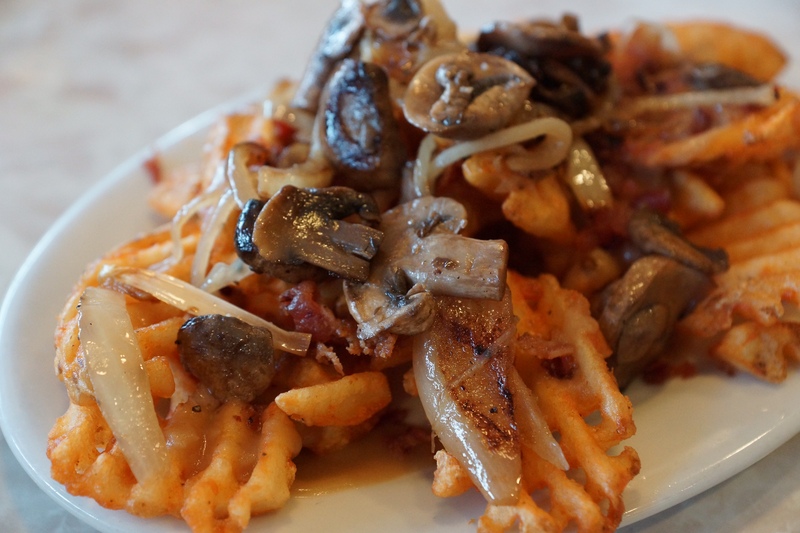 Finally, there was the “Don’t Fry for me Argentina.” The waffle fries came topped with brown gravy, bacon crumbles, grilled onions and sautéed mushrooms. The side dish is perfect for someone who is looking for a heavier side dish with deep rich flavors. Since it was Super Bowl Sunday, we decided to have an ultimate burger experience by ordering the “Talk of the Town” burger “home run style.” The burger features Farrell’s sauce, melted American cheese, lettuce, tomato and pickle on an onion bun. 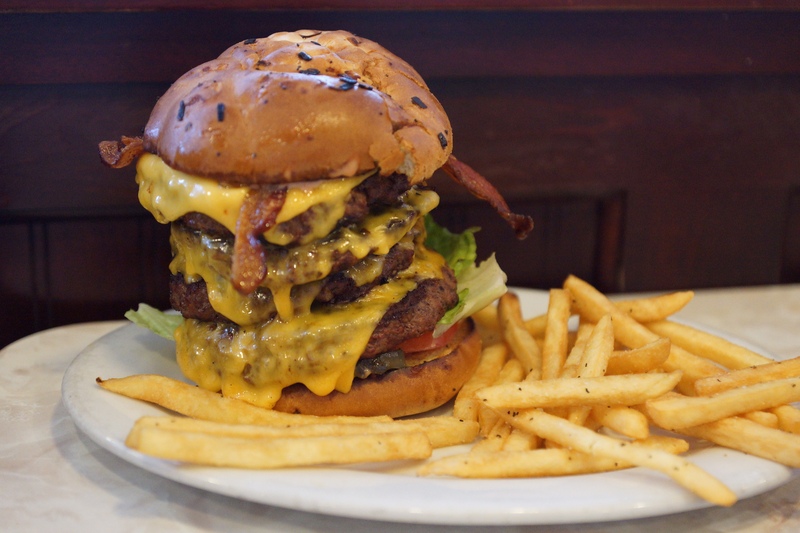 By making it “home run style,” they serve it with 4-1/4 pound burger patties (yes..4 patties), making it a full 2-pounds of meat! While I tried my best to eat the entire burger, I did pride myself of making it 1/4 of the way through it. 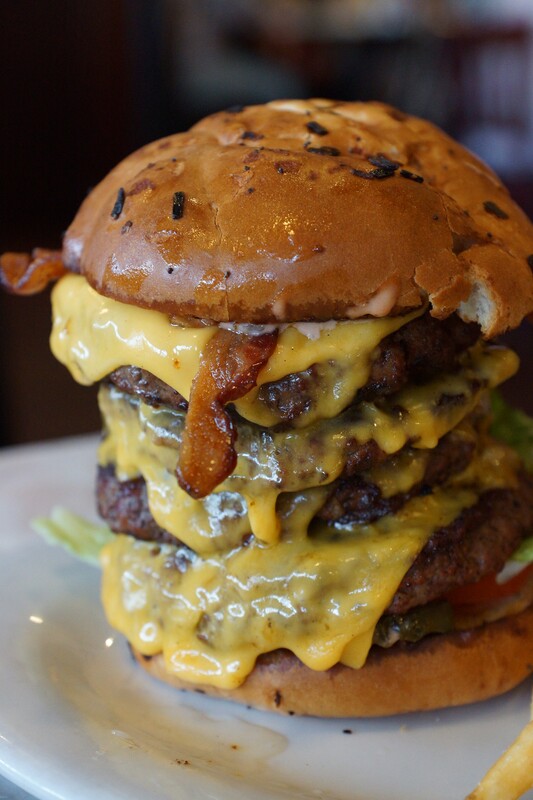 If anyone can finish this burger then they truly deserve a ribbon. 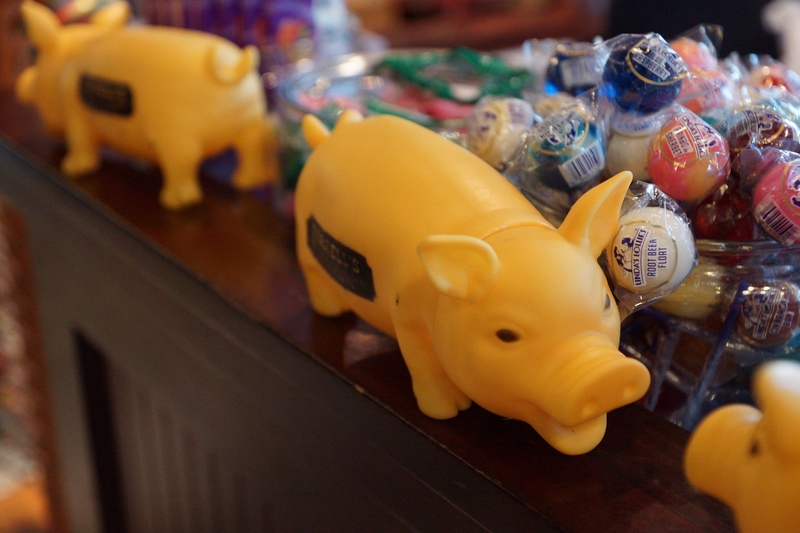 It was a festive and fun lunch with the kids, and a great way to spend Super Bowl Sunday together as a family. The next time that you’re planning a lunch or dinner with your family at Farrell’s, try the “Great Tater Creator” a try instead of pairing your burger ordinary fries. 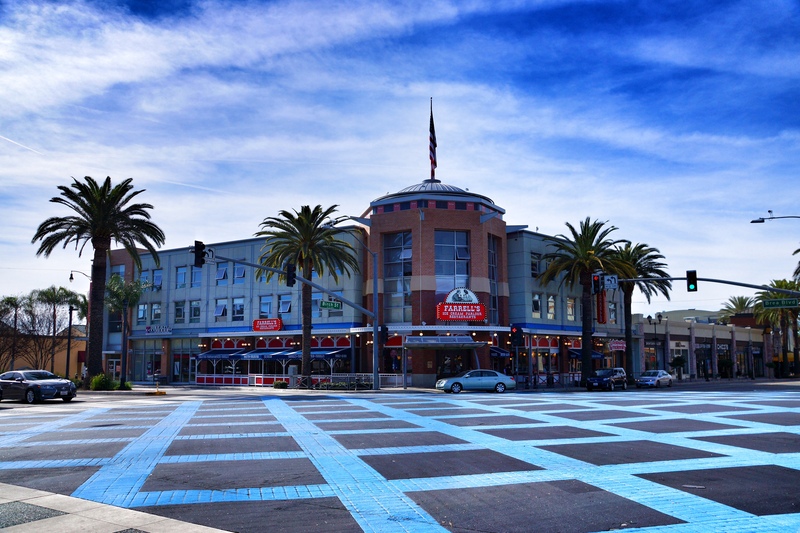 Farrell’s in Brea is located at 215 South Brea Boulevard.